How a puzzling sensor reading transformed NASA’s Cassini Saturn mission and created a new target in the search for habitable worlds beyond Earth. On Feb. 17, 2005, NASA’s Cassini spacecraft was making the first-ever close pass over Saturn’s moon Enceladus as it worked through its detailed survey of the planet’s icy satellites. Exciting, to be sure, just for the thrill of exploration. But then Cassini’s magnetometer instrument noticed something odd. Since NASA’s two Voyager spacecraft made their distant flybys of Enceladus about 20 years prior, scientists had anticipated the little moon would be an interesting place to visit with Cassini. Enceladus is bright white — the most reflective object in the solar system, in fact — and it orbits in the middle of a faint ring of dust-sized ice particles known as Saturn’s E ring. Scientists speculated ice dust was being kicked off its surface somehow. But they presumed it would be, essentially, a dead, airless ball of ice. What Cassini saw didn’t look like a frozen, airless body. Instead, it looked something like a comet that was actively emitting gas. The magnetometer detected that Saturn’s magnetic field, which envelops Enceladus, was perturbed above the moon’s south pole in a way that didn’t make sense for an inactive world. 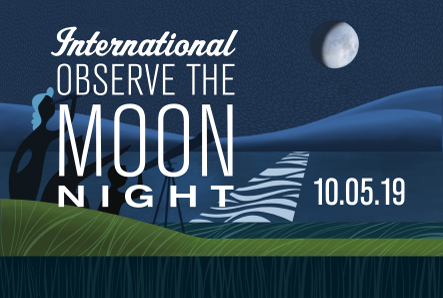 Could it be that the moon was actively replenishing gasses it was breathing into space? Thus began a hunt for clues that has turned out to be Cassini’s most riveting detective story. “Enceladus was so exciting that, instead of just three close flybys planned for our four-year primary mission, we added 20 more, including seven that went right through the geysers at the south pole,” said Linda Spilker, Cassini project scientist at NASA’s Jet Propulsion Laboratory, Pasadena, California. By following the trail of scientific breadcrumbs, Cassini eventually found that Enceladus harbors a global ocean of salty water under its icy crust, possibly with hydrothermal vents on its seafloor. The trail of clues that began with a puzzling magnetometer reading led to an understanding that the moon — and perhaps many small, icy moons like it throughout the cosmos — could potentially have the ingredients needed for life. Launched in 1997, the Cassini mission is currently in its final year of operations, performing weekly ring-grazing dives just past the outer edge of Saturn’s rings. In April, the spacecraft will begin its Grand Finale, plunging through the gap between the rings and the planet itself, leading up to a final plunge into Saturn on September 15. Cassini has been touring the Saturn system since arriving in 2004 for an up-close study of the planet, its rings and moons, and its vast magnetosphere. Cassini has made numerous dramatic discoveries, besides the activity at Enceladus, including liquid methane seas on another moon, Titan. 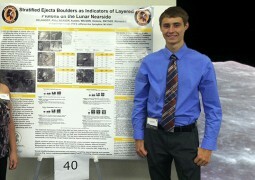 SSERVI-supported CLSE work of the Kickapoo High School lunar research team is featured in the latest issue of Science.